This week I want to share a time management tip that has helped me be more efficient and less stressed—and has saved me money as well! for dealing with the inevitable failures we will face if we lead for any length of time. The idea there is that we want to have a culture where people are able to try new things and to take risks without worrying about performing perfectly every time. We’ve created a culture where people are free to fail. We just want to encourage people to fail forward, which means to try something and if it doesn’t work out, get up and learn from it. And try again. If it doesn’t work out, get up learn from it and try it again. And the flip side is that if you’re not failing at anything, it means that you’re not trying anything new. You’re not taking any risks. Which means you’re not growing, and you’re not learning. So we have intentionally tried to cultivate a culture where risk taking and the failure that comes with it is okay. Most organizations, including churches, celebrate success. And of course we do. We should because it just makes sense, but I want to encourage you to also celebrate failure. Celebrate when people try something new. Celebrate when people take a risk, even if it doesn’t work out perfectly. If you can create a culture where you’re people aren’t afraid to fail, where they’re able to take risks and try new things, you’ll create a culture, you’ll create a place where people can grow and some great things can happen. People always grow when they’re not bogged down by fear, especially a fear of failure. So I want to encourage you to fail, and to embrace failure for your people, and for your organization. Try something new. Learn from it and then go forward again. You can make an awful lot of progress if you just keep failing forward. 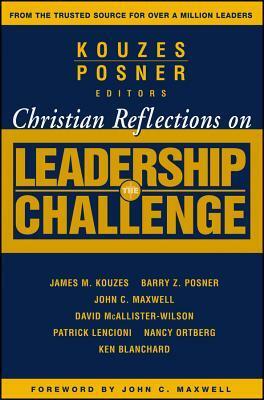 Kouzes and Posner continue to be two of my favorite authors when it comes to leadership. Their insights and clarity never cease to encourage and instruct me. It’s simple, clear, and concise, but it summarizes what others spend hundreds of pages on. As I have reflected on it, I think this is a great way to train people in leadership. I’m always looking for tools to use. This book gives a simple framework that is easy for people to understand and can easily be used to train people in the essentials of good leadership. It lays out an observable set of skills and abilities that are useful no matter where you are. And leadership, like any other skill, can be strengthened, honed, and enhanced, given the motivation and desire, the practice and feedback, and the proper role models and coaching. It’s all too easy to limit leadership to a select few who we deem have high potential. How much more effective would it be to teach leadership to all our people and see who grabs ahold of it? I know I have been surprised at times by which people in a group ended up being the best leaders; first impressions aren’t always correct! I’m curious. What have you used to teach your people leadership? Anything in particular that has been helpful or particularly effective? In this week’s LeadersTip, I’m sharing the most powerful truth I’ve learned in 30 years of leadership. I think you’ll find it helpful! What’s in front of you is rarely all there is. Developing the tendency to ask questions like “What do I wish I knew?” and “What additional information would help inform my decision?” can make all the difference. It can make you a far better decision maker, and it can even save lives. Learning to notice the things that aren’t immediately obvious is an important skill that can be developed. Understanding what is at work when we fail to notice is crucial to understanding how we can learn to pay attention to what we’re missing. This book promises to provide you with exactly this understanding and a blueprint for noticing for the rest of your life. If we are motivated to turn a blind eye to what someone says or does, we are far less likely to see that person’s immoral behavior. The term motivated blindness describes one’s systematic failure to notice others’ unethical behavior when it is not in one’s best interest to do so. Simply put, if you have an incentive to view someone positively, it will be difficult for you to assess the ethicality of that person’s behavior accurately. In many cases, what you see isn’t all there is, because you have reasons to decide it isn’t even there. Motivated blindness is not inevitable; it is, in fact, surmountable. The evidence of countless whistle-blowers speaks to this fact. Effective decision-making, and consequently effective leadership, can hinge on overcoming motivational blindness. But how can we do so? First, we can learn to notice the facts around us more fully. Second, we can make decisions to notice and act when it is appropriate to do so. Third, we can create clear consequences for leaders when they fail to act on facts that indicate unethical behavior. Fourth, leaders can provide incentives to speak up for decision makers throughout their organization. Plenty of people don’t notice conflicts of interest. When someone tells you, “This is just how it’s done in our field,” that should prompt you to ask why it is done that way and whether there is a better way to do it. Too often, in industry, we offer, as a reasonable explanation, that an action is “commonplace,” even when it is clear that what is accepted practice is not necessarily correct or appropriate. The fact that the behavior is common normalizes it, but it doesn’t certify that the behavior is the right thing in do. And when we fail to oppose unethical behavior, we, too, become part of the problem. We know how to make logical decisions: define your objectives, identify the multiple criteria that you are trying to achieve, weight the criteria, identify options, and analyze the best choice. Of course, there are lots of variations of these kinds of logical processes. Those who want to misdirect us do not want us to be so logical. They want to hijack our thinking and manipulate us to do what they want. When you start to stray from logic, and another person is involved, whether she is a negotiator, marketer, or politician, it is time to put yourself in her shoes, understand her motives, and adapt accordingly. Whenever we interact with people and we do not believe they have our best interests in mind, we need to look beyond the information they put in front of us and think about what they are trying to get us to do and how we can get the information we actually need. When our goal simply becomes to notice, we can avoid the misdirection of magicians and others who borrow from their craft. Most people tend to be overconfident, and some experts have argued that overconfidence is the most important of all decision-making biases. Because overconfidence can prevent us from noticing the downside to our actions, it can trigger wars that never should have been started. Overconfidence may explain the high rates of corporate mergers and acquisitions, despite the fact that they so often fail. Similarly, overconfidence could prompt an executive to believe that her firm’s excellent performance in the next period will conceal the current period’s negative results—and steer her onto the slippery slope of unethical behavior. The evidence should motivate you to stop and engage your more methodical mode of thinking before escalating your commitment to a strategy that is not working out. Not only should you audit your behavior to make sure that continuation makes sense, but you should also monitor your behavior to make sure you aren’t headed down a psychological slippery slope that will result in unethical behavior that you would never have thought you’d condone. Too often executives engage in unacceptable behavior not because they originally intended to defraud but simply to justify the mess that they got into. Thinking one step ahead allows you to identify when to be trusting and when to be cynical. It is wise to think carefully about the decisions and motives of the other party so that you can understand what a problem looks like from his or her perspective. Thinking ahead may help you identify when reasons to trust exist and when you have justification to be cynical. While it doesn’t make sense to be cynical simply because you are dealing with a person rather than a machine, we should not necessarily trust all individuals in all contexts. In some situations, it costs little or nothing to collect additional information to test our intuition, but we often fail to do so. Your goal should be to understand the strategic behavior of others without destroying opportunities for trust building. I hope that, after reading this far, you are well on your way to becoming a first-class noticer. First-class noticers, however, are more consistent. Even when failures occur, they focus on what they did and, more important, on what they could do differently in the future. As a result, they avoid repeating their mistakes. Focusing on self-improvement allows us to learn from experience and develop the tendencies needed to become first-class noticers. Employees often have the analytic ability to notice, but their organization’s culture or incentive system prevents them from using it. Leaders have a unique responsibility to create systems that will increase the likelihood that their staff will notice important information and respond in a productive manner. Leaders should audit their organizations for features that get in the way of noticing. 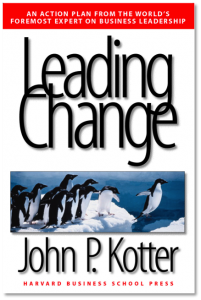 It is often the first step toward identifying what needs to change to create an organization filled with first-class noticers. 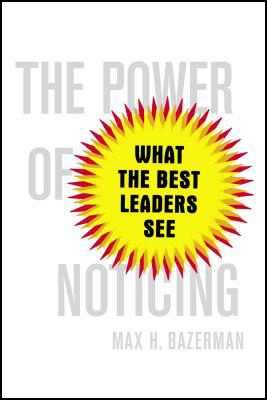 The Power of Noticing also challenges leaders to be noticing architects. Leaders too often fail to notice that they have designed systems that encourage a misspecified goal (such as recorded sales) rather than a more appropriate one (actual profit to the organization). I encourage all leaders to become better noticing architects and to design systems that encourage employees to notice what is truly important. As I hope you have learned by now, focusing is important, but sometimes noticing is better —at least when you are making critical decisions. 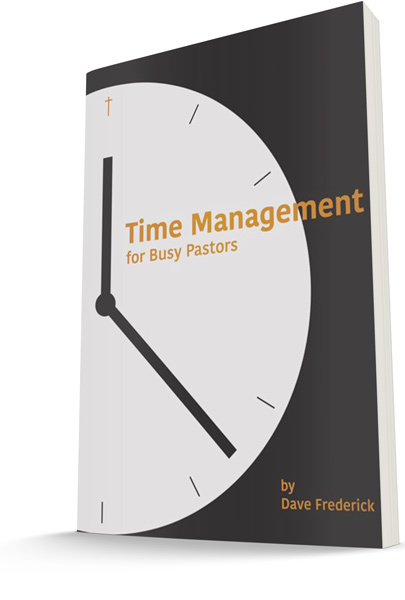 I hope that this book has provided useful guidance to help you, as a focuser, also become a first-class noticer. All leaders know how important vision is, but don’t always understand some of the nuances that can influence our ability to effectively communicate it. Today we’ll look at one thing that can undercut the development of vision before it ever gets established. 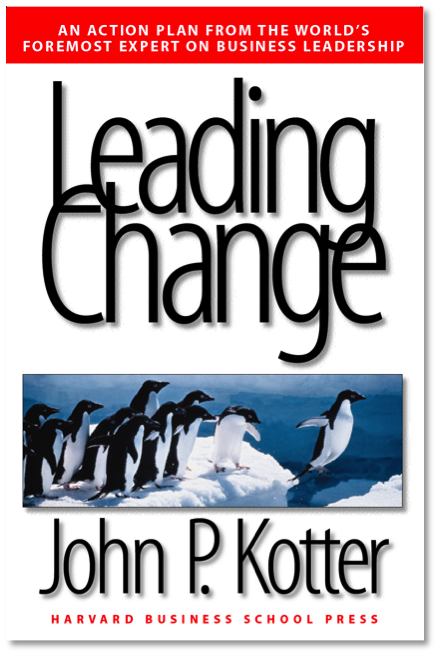 Every leader is leading change; it’s integral to the job. Knowing how to do it, and do it well, is probably one of the most important skills any leader can have. But in my experience it is also one of the most difficult things a leader has to do. You would think that eventually we would get it figured out. That’s where books like Leading Change are so helpful. In my experience, “establishing urgency” and “developing a vision,” while distinct, are intimately linked and essential for any effective change effort-at least a change effort of any significant magnitude. Without establishing a sense of urgency there is seldom real forward movement. Urgency is all about communicating why the change needs to be made now; without that, people don’t move forward. The change effort takes a back seat to everything else that calls for attention. And there are always plenty of things calling for attention. Many leaders have been frustrated for just this reason. Their people agree that the changes would be beneficial, but nothing happens because people don’t have a sense of urgency. that doesn’t have the impact it could. It takes time and work to establish an effective vision; we dare not shortcut the process if we want to lead change well. I’ve also become a huge believer in the importance of getting short-term wins. It’s hard to overestimate the impact on morale and the energy that is released when people see positive results or real progress. In leading any change effort I think leaders should identify potential short-term wins and be very intentional about reaching, and then celebrating, those wins. Few things will have a bigger impact on the actual progress made. What’s your take-away? What has been your experience leading change, for better or for worse?